I have a highly corrupted pst file from a user using Outlook 2013 with an Exchange 2010 server. The pst file was used by the user to archive emails and now when he tries to access his archives the Outlook shows a message saying that it is not a pst file. I tried using scanpst.exe but it shows the same message. 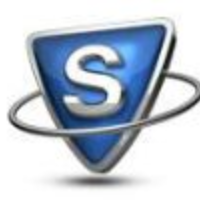 i tried the full version of Systools Outlook Recovery v7.0 and after scanning in advanced mode says that the pst file is highly corrupted please contact the Systools support. I tried contacting them through their chat but I haven't got a response.